grocery | Live Cheap, Feel Rich! First things first: what is a hoagie? This term is certainly not used nation wide. “Hoggies” was a nickname for Italian workers at the Hog Island shipyard in Philadelphia during World War I. These workers were known for bringing giant sandwiches for lunch. The nickname became associated with the sandwich and the spelling has been altered over time. I couldn’t find any great deals from all of the sandwich chains we all love so much, so I wanted to write a little bit about how to make hoagie-making cost efficient. With a meal like this, it’s a little tough, since almost all ingredients have to be fresh, from the bread to meats and cheeses, to veggie toppings. It’s simple, although sandwiches are so easy to pick up on the go, don’t forget that if you have enough foresight, these are the easiest of meals to make, and can be immensely cost-efficient if you make them on your own. Freezer Meals of the Week! Happy Wednesday! It seems like you all loved my first rendition of freezer meals so much last week, that it’s definitely a hot (no pun intended) topic! I’d love to share some of my other favorites as well. Freezer meals make dinner so seamless and easy and are sometimes an absolute godsend to have during a busy week. 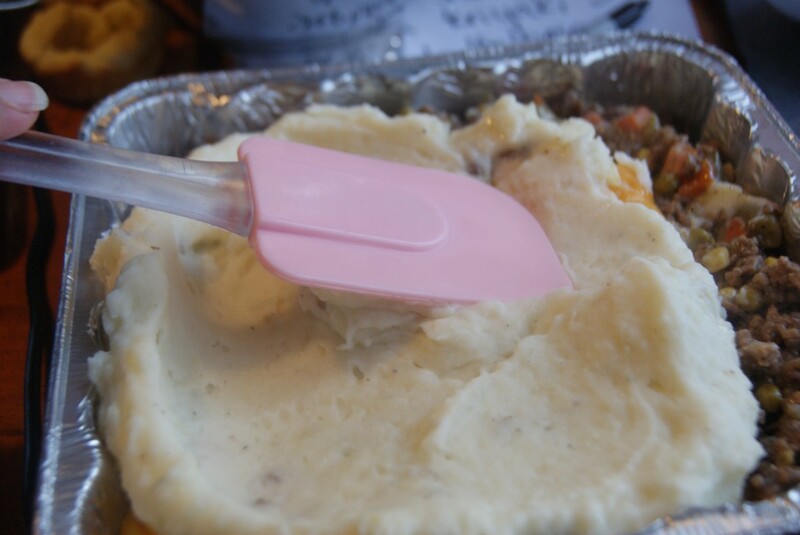 WheelNDealMama has a really awesome shepherd’s pie recipe that freezes great! This meal is always a hit in our home – it’s pretty hard to deny ground meat, mashed potatoes, and shredded cheese. This is an all-in-one meal and these can be made individually – one for a person should definitely fill you up and hit all the food groups! It’s super easy – toss your meat (ground beef, turkey, or chicken) into a skillet and brown with a can or bag of frozen veggies with some broth. In a freezer-safe dish (I suggest mini pie dishes so you can easily take out as many servings as you need – fun for each person to have their own pie! ), toss in your mixture, top with mashed potatoes (free to make these however you please, homemade, with a mix – whatever you have time for and prefer), and cover in shredded cheese. Cover with plastic wrap and aluminum foil and create a tight seal. Once you’re ready to eat, place in an oven heated to 375 and cook for 45 minutes! Super simple and a crowd pleaser – always. Who doesn’t love chicken parm? It’s comfort food at it’s finest and even the pickiest eaters love it. 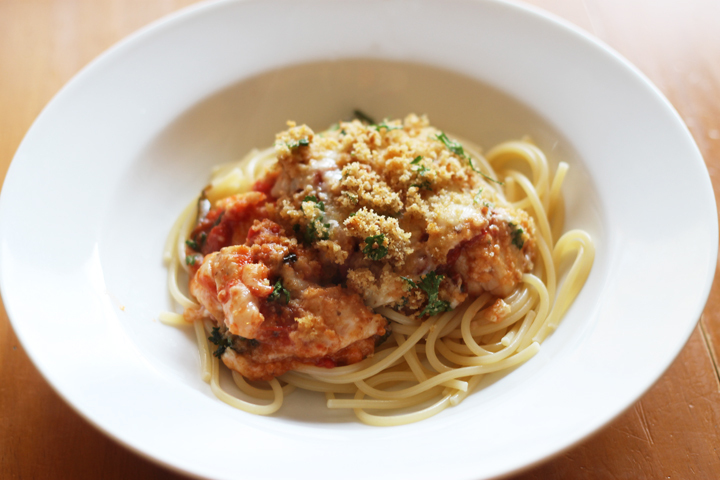 Thriving Home Blog has a great recipe for chicken parmesan casserole – which is a really fun spin on the dish. You can eat this on it’s own, or serve over pasta for a heartier meal. This is crazy easy – all you do is layer a pan with 4 cups of cooked chicken (shredded or cubed), mix with your choice of marinara sauce, and top with Parmesean cheese, mozzarella, and seasoned breadcrumbs of your choice. Put the casserole together and pop in the freezer for an easy freezer meal – whenever you’re ready to enjoy it, thaw in the fridge overnight and bake in the oven for 20-25 minutes. Yum! 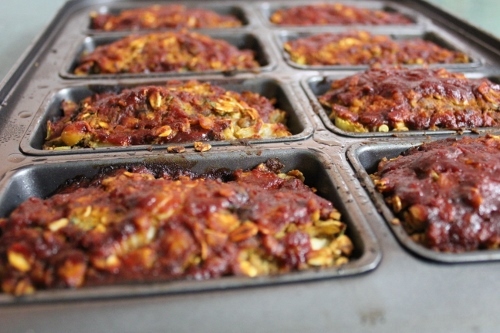 InJohnnasKitchen gives an incredible veggie alternative to a comforting classic – meatloaf! If you’re anything like me, you love an easy meal, but not at the cost of something that makes you feel junky and gross. This is such an awesome option for an easy freezer meal. So fun – this recipe calls for all sorts of textures – celery, onions, chickpeas, oats, walnuts, and lentils – together, combined, this recipe is shockingly yummy. The recipe suggests using either one big meatloaf pan, or a pan that has the 8 mini loafs (like the above picture) – I think this is fun! Like the shepherd’s pie, this makes it even easier to defrost and heat up a single serving. Whenever you’re ready, simply bake at 375 for 55-65 minutes and allow to cool before serving. A little last minute here, but wanted to make sure you guys caught wind of this! TOMORROW ONLY Popchips is running a promotion where if you bring an empty bag of Popchips to a participating Six Flags, you get 50% off of your admission. Another summer day grasping for fun activities for the kids? This makes a day at a theme park affordable – and you know they’ll love it! I’m really not sure that there is much more of a crowd pleaser of a holiday than #nationalchocolatechipday! 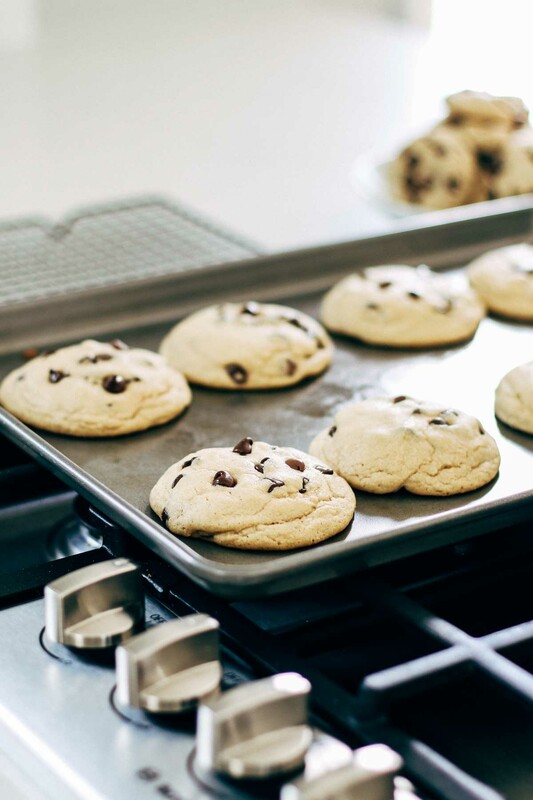 I can’t seem to find any deals out there for this sweet treat today, but PRO TIP: you can always get a free chocolate chip cookie at DoubleTree Hotels and at your local Public grocery store – never forget that! Instead, I figured I’d dole out some of my favorite, inexpensive recipes involving chocolate chips. 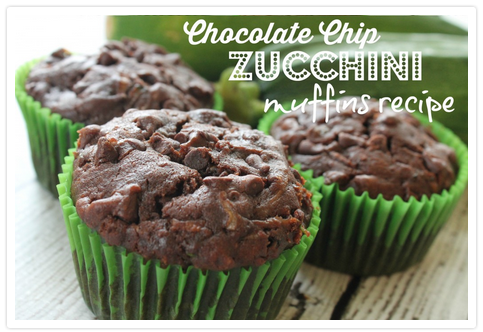 PassionForSavings has an AWESOME recipe for chocolate chip zucchini muffins. Not only are these DELICIOUS but they are also very budget-friendly, guilt-free, and freezable! Win-win-win! All the usual suspects here (eggs, oil, sugar, brown sugar, vanilla, flour, cocoa, baking soda, baking powder) + chocolate chips and shredded zucchini! Mix it all up, and bake at 350 for 22-25 minutes, and you’ve got an awesome snack or breakfast – kids won’t even notice the zucchini’s there! You’d be hard pressed to find a sweet treat I like more than banana bread, let alone chocolate chip banana bread! Tina’s Chic Corner makes an awesome version. All you need is some overripe bananas (I think we all seem to find ourselves with these from time to time), sugar, eggs, vanilla, flour, baking soda, salt, Greek yogurt, and chocolate chips to add to it! Mix it all up, pop in a loaf pan, bake for almost an hour, and cool before cutting. This is another recipe that you can absolutely freeze. It’s a great treat to bake for a breakfast, brunch, or even as a gift to a neighbor or friend! This recipe URGES you to not overbake these, as timing is essential for keeping these cookies soft and delicious. They cool for about 30 minutes or so. and then sink down into “dense, buttery, soft cookies” – drooling yet? These are also freezable – make a bunch and save for occasions and desserts! Well, I’m inspired. Let’s get baking and enjoy #nationalchocolatechipday!